We set off from Leaplish on a bright and chilly morning, 3 cyclists and me. A complete amateur, 20 years since last on a bike and absolutely terrified! The thought of 26 miles on a bike had kept me awake, let alone 26 miles of wild and rugged terrain around the mighty Kielder Water! In order to keep up with my group Ian from the Bike Place suggested an electric assisted cycle. He explained how to use it and offered useful tips and suggestions when he delivered it along with obligatory safety helmet. We started along the Lakeside way enroute to Kielder Castle and after a few wobbles managed to get the hang of it surprisingly quickly. The four different assistance settings meant I was more that able to keep up with the others, in fact with a little turbo boost I flew past them on the steeper inclines. For the first time in my life I was actually grateful for having a well padded derrière as in addition to a gel saddle and cycle shorts I was well protected from wear and tear. We headed along the north shore just as the clouds parted and brilliant sunlight hit the reservoir, the effect was quite simply breathtaking. More excuses to stop soon appeared as we discovered each piece of art and architecture, wonderful creations that we wouldn’t have got to see by foot and all of them offering a welcome break from the saddle. Some tricky slopes and bends forced me to concentrate further along the route but all of them were achievable with my trusty turbo boost. We were all ready for a quick rest and some refreshments when we arrived at the Dam and I felt on top of the world crossing the Dam wall with the wind behind me. A relatively easy couple of miles took us to Tower Knowe where a hot cuppa was well received. Only 7 1/2 miles left to go, but I was now feeing a bit tired and saddle sore. I was buoyed by the stunning effect of glinting water peeping through the gaps in the trees, enticing me to keep going and soon the surroundings began to become familiar as we neared Leaplish. I literally flew past Freya’s cabin and completed the last mile with renewed energy. It took just over 4 hours to get round the whole lakeside way, this included several refuelling stops, exploring of the sculptures and of course the obligatory selfies! We concluded the trip with a celebratory drink in the Boat Inn, feeling tired but elated that we had conquered The Lakeside way. 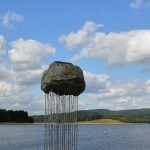 Cycling around the reservoir gave me a completely different perspective of Kielder, I saw elements of nature I would not have seen from foot; covering a greater area and still feeling completely connected to the natural surroundings. Being a, “non-cyclist” this would not have been possible without the electric assisted cycle, it allowed me to keep up with the group and still be able to enjoy the beauty of the surroundings. Being able to hire this expensive bit of kit, makes the adventure very accessible and the advice, expertise and reassurance Ian and Kevin at the bike place provide is a brilliant resource! I don’t think I will be entering the Tour de France any time soon, but I will definitely be visiting the Bike Place again, maybe later this summer to attempt the route in reverse. Electric assisted cycles are available to hire from £35 along with a wide range of cycles to suit all ages and abilities. 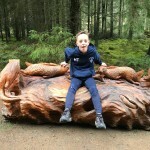 Working for Active Northumberland, I was given the chance to be considered for a place in the 2015 Kielder 10K at Kielder Water & Forest Park on October 3. After some deliberation I applied. The reasons behind my application were to get fit, lose weight, stop smoking, and generally make my life healthier. I had an added incentive in that I am to be mother-of-the-bride in July 2016 when my daughter gets married. Week one started gently but by week six, I was working harder than I had ever done and that’s when I joined Ashington Hirst Running Club for beginners. They were fantastic and gave me so much encouragement leading up to the race. The morning of the race came and I was a little nervous standing on the start line among nearly 900 other runners, but excited at the same time. It hadn’t really hit me until then just how far 10K actually was and I found myself wishing a little bit that I had already finished the race, and not just about to start! Everyone was so friendly though and I spoke to a few people around me who had run a 10K before. They assured me that it was an achievement just to be even standing on the start line, to enjoy it and not to worry about what time I finish the race – the main thing was I was there. The views of the Park were absolutely stunning and I had plenty of time to enjoy them really as I wasn’t speedy in the least. Even the peace and tranquillity of Kielder Water & Forest Park is ideal and I enjoyed everything about it (except maybe the inclines around Bull Crag peninsula haha). The people I met and the encouragement all the way along the route was amazing (although I think the marshals felt a bit sorry for the one at the back!). Four very kind marshals actually ran along with me for a short way as I must have looked a lonely figure bringing up the rear, or maybe they were a little on the cool side and needed warming up, either way I really did appreciate it. Crossing the line was amazing! There were so many people there and the atmosphere was something I’ve never experienced before. I think a lot of the crowd were waiting for the first of the Kielder Run-Bike-Run competitors, who were running simultaneously on a longer route, to start coming in but I soaked up their applause regardless. I am a very lucky lady that I had so many friends and family also there to cheer me on and I want to thank them all. I go to a running club now every Tuesday and Thursday which will help me finish better than last place or even just aim for a faster time than 1hr 41 mins next year…and yes, I did mention a next year! That’s what people do; strive to beat their previous time. 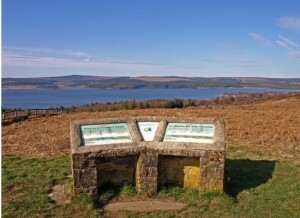 Although I think I may have to visit Kielder a few times before the race to help me conquer those hills! The Park is so beautiful though, with it’s extensive network of off-road trails it’s the perfect location for some long (and not so long) distance running and cycling. The atmosphere of marathon weekend is also so electric and it’s well organised – I would recommend everyone take part in a race at some point – whether it’s the 10K that I took part in, or the marathon, the half marathon, the Run-Bike-Run or even the junior runs. 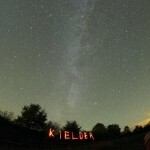 If you’re interested, take a peek at www.kieldermarathon.com. In the meantime, while I gear myself up for next year, I would really like to thank all my colleagues in Active Northumberland who gave me the chance to do this and put up with my regular updates on my training plan! It was faint at first. You could hear something, prick up your ears; only to hear silence again. 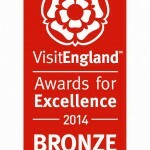 We live in the most tranquil place in England. That’s the claim…and I tend to agree. 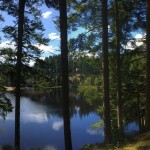 Kielder in the evenings and mornings is silent! There can be a debate the next day about the car that drove through the village in the early hours, it’s that peaceful.